The Hot Dog Truck: Spring At Last! Well today is the first day of Spring and I couldn't be happier. This winter sucked- we got a foot of snow per week over about a six week stretch. Oh, my aching back! Spring is here, but in New England the weather can still be a bit dicey. It isn't truly Spring until we hear the spring peepers coming from the swale across the street. One sure sign of Spring is Hot Dog Stories is BACK!!! We air our first video episode today! I went and visited Larry Joe's New England Fire Pit for the inaugural video episode and he didn't disappoint. You can watch the video HERE. 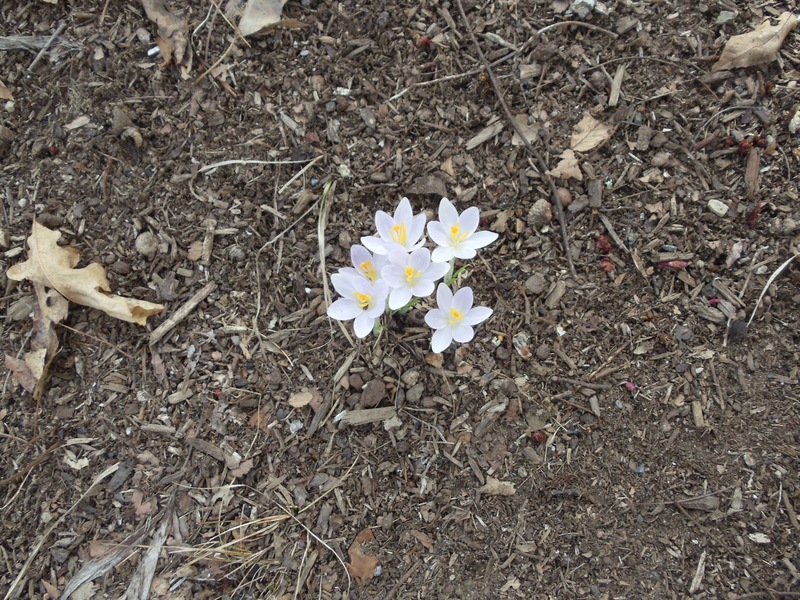 Here's some flowers poking up through the last bit of snow-it won't be long! The first Crocuses of the season showed up too! It really IS Spring!